Dexter Joined Lucy in 2010 at the age of 16 as an apprentice in the prototype department within engineering, based in Thame. 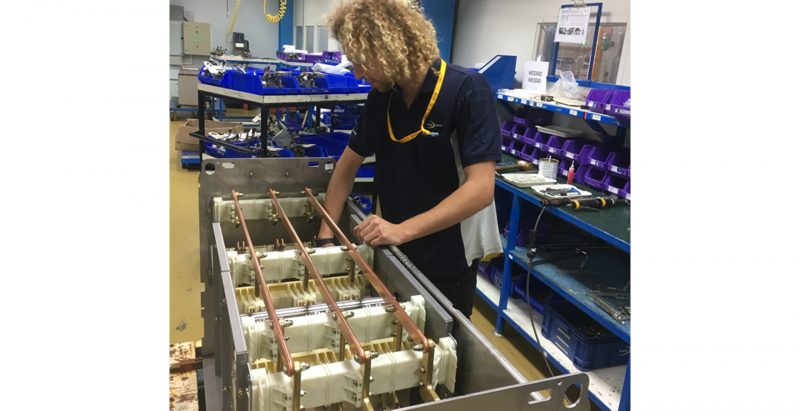 Dexter has recently taken a on a change in role, to work in the manufacturing plant in Thailand as a product specialist and a Link between engineering and manufacturing. Dexter chose to join Lucy Electric for the opportunities the company could provide for him as a young Engineer. The apprenticeship scheme offered him an interesting development plan, exploring different areas of the business to develop a well-rounded view of engineering. As an Engineer in Thailand every day is different. Dexter’s role is varied from supporting the UK engineering teams introducing new products into the factory, new product development and prototyping, to process improvement with the manufacturing team, and resolving issues as they arise within the factory. The versatility of his role is what he likes the most; he’s still involved with engineering and development, but also learning and experiencing manufacturing for the first time in his career. This role is providing him with new knowledge every day and is always challenging him to learn new skills. Dexter joined Lucy straight out of school, so didn’t have much workplace experience other than as a part time instructor windsurfing; so you can say it’s quite different! Outside of work, Dexter is a very active person, keen on water sports such as windsurfing and sailing; making the move to Thailand has only improved his active lifestyle. There have always been opportunities for Dexter to develop at Lucy Electric; after completing his apprenticeship he was then supported to get an engineering degree, encouraging him to learn more and expand his knowledge. If he could learn something new, he’d like the opportunity to learn the full function of the business and gain knowledge on every aspect of how the company operates.